click "Choose File" to upload the Excel file prepared (all data handled in your own computer, no file upload to server but we don't guarantee anything, we should released from any obligation). 4, Determine your per screen's column number and line number. According to CR hotline's oral guidance to us, each client's name should be shown one time within 4 minutes, each time not less then 15 seconds (ask it by yourself, I am foolish). Which 16 is equal to: (4 minutes / 15 seconds). 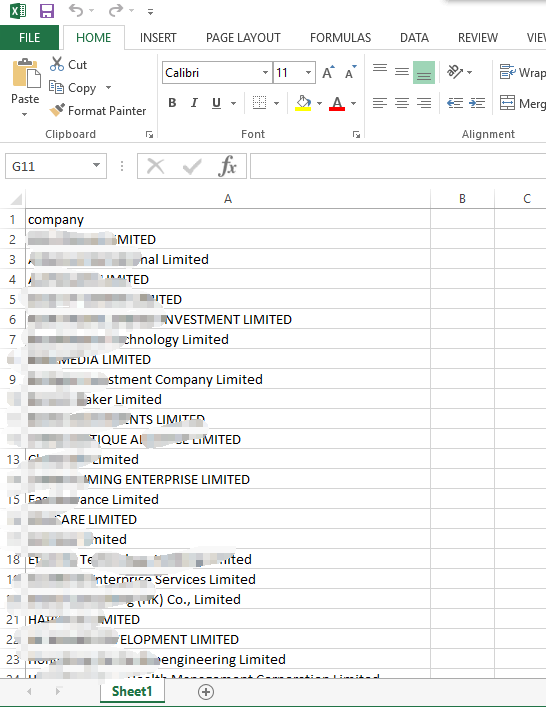 Then Minimum number of client name in one screen = column per screen x lines per column. Then you calculate and determine your column number and lines number. The "每页持续时间(单位：毫秒)" should be at least "15000", which equal to 15 seconds. 5. 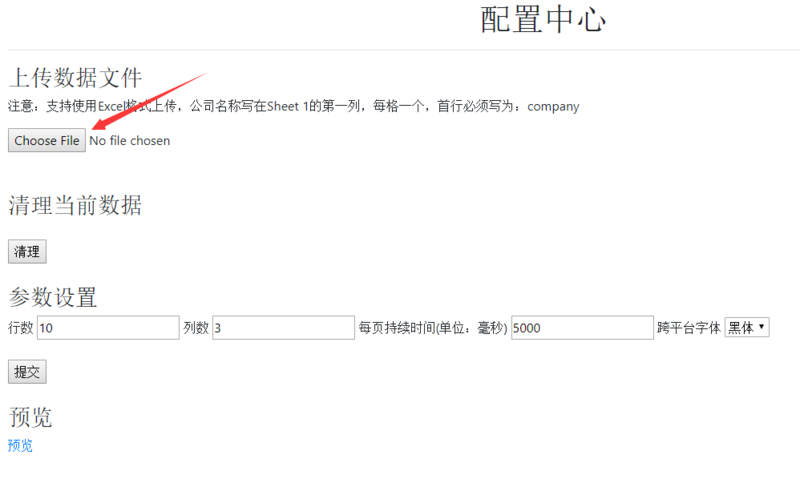 Click "Preview (预览)", the web is auto rolling your client name. Click "Full Screen" (or click F11 of your keyboard). Now all thing done. Put the Screen and computer at proper obvious place of registered office. Q1: How to make the screen vertically rather than default horizontal? A1: Windows has inherent function to make screen in horizontal. Q2: How to renew the client name list? click "Clear" and then repeat the upload to show procedure above. Q4: Which browser recommend to use? every business venue of the company. The registered name must be so positioned that it may be easily seen by any visitor to the office or business venue. the registered name is capable of being displayed within 4 minutes after a request to make the display is made through the electronic device. 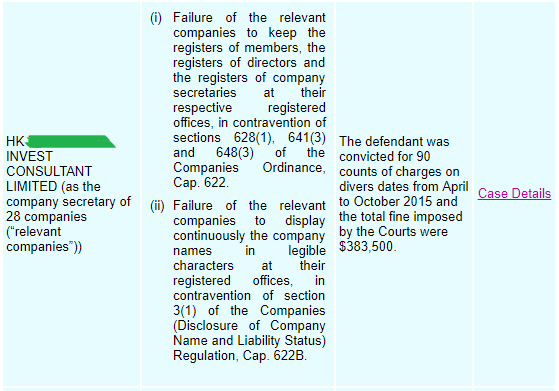 Subsections (1), (2) and (3) do not apply to a company that has had no accounting transaction at any time since its incorporation. subsections (1), (2) and (3) do not apply to that registered office or business venue.